We work at near and distant term trajectories to study ways to delivery future ecosystem services to the human race. Cities are cultural and technological marvels generating massive amounts of information and offering compelling opportunities for human achievement and fulfillment. Yet, they are ecological liabilities. The Ecosystem Services Theory claims that ecosystems, whether natural or constructed, supply the necessary ecological services to support humankind and the living world as we know it. Based on the an ecosystem's structure, functional relationships occur to supply supporting, provisioning, regulating, and cultural services. Supplying these services requires the development of an Ecological Superstructure, which overlays the city as a novel experiential and performative part of the urban setting. 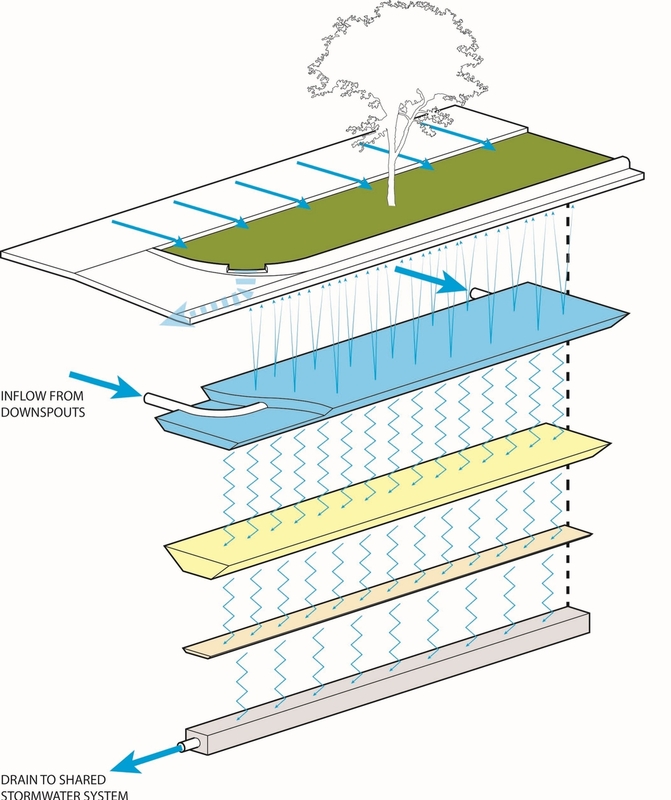 Today we see the beginnings of the superstructure through green roofs, walls and other ecological applications. This future superstructure involves human's integration into the functionality of ecological drivers, feedback and operations. When ecological superstructures emerge they will deliver exponential supplies of ecosystem services for the urban environment.